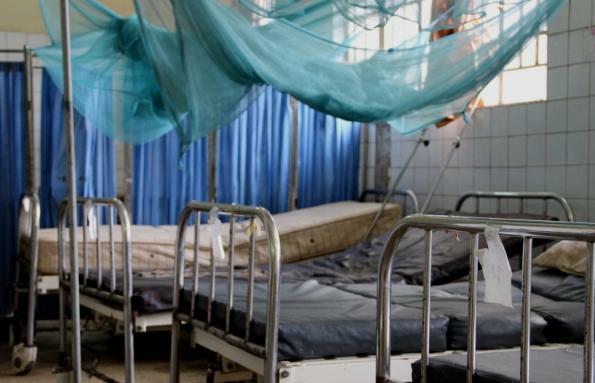 Monday February 10, 2014 - Government Health delivery system in chaos, lack of care and due diligence on the rise as hospitals lay neglected and patients forced to share beds. Bogus contractors get a field day and fuel use, as in all government departments and ministries a money-making enterprise. Regular drugs amounting to Le7,897,500 and Free Health Care Drugs valued at $13,701 were procured and not consumed. A shame. We have been taking a closer look at the government's health delivery system, the tip of which has been highlighted in the 2012 Audit Report which appears to have been largely ignored by an uncaring government that would have us believe that the health delivery system under the rat was all rosy with all Sierra Leoneans receiving much needed support in the health sector. As with all government transactions, those in the health sector are also victims of financial manipulation and outright theft of the peoples' resources. The Audit report looked at the Dialysis Unit, a set-up that is so vital for human beings in a country where such a functioning unit could save lives, thousands if not tens and hundreds of thousands of lives, especially of the poor and unconnected. 8.23.7. Contracts Awarded Not Completed - Contracts which were awarded for the rehabilitation of the Dialysis Unit amounting to Le250,691,043 and the rehabilitation of the Connaught Hospital amounting to Le1,231,694,200 were not satisfactorily executed. There was a leaking roof in the Dialysis Ward, damaged toilets, and fans not in working order in the Hospital, while a work completion certification had been issued to the contractor. However, interviews with some personnel revealed that the consultant in post had taken up the rehabilitation of the unit, from her own personal funds. A generator was procured for the Hospital but has still not been installed. It was recommended that the Procurement Officer, Ministry of Health, should submit a written explanation within thirty (30) days of the receipt of the report as to why those contracts were not satisfactorily carried out or refund the amount of Le250,691,043, and Le1,231,694,200 for the rehabilitation of the Dialysis Unit and Connaught Hospital respectively. It was recommended that the Facilities Officer should provide an explanation as to why the generator had still not been installed. We would dare say - don't hold your breath as no explanation would be offered. It is the same lack of accountability and lack of respect for financial orders disease that affects every sector of government activity where "the cow eats the grass where it is tethered" (read - corruption given an official stamp to steal resources wherever those with the right connections find themselves) syndrome is actively encouraged from State House. It would be recalled that the AWOKO news outlet carried a story in March 2012 headlined "First Lady opens Dialysis Unit" and stated just how important the Unit is in the country's health delivery system. "In a bid to help save the lives of people suffering with kidney ailments and most especially those who may not afford to pay for treatments abroad, the First Lady of Sierra Leone, Madam Sia Nyama Koroma past Friday, 2nd March 2012 officially opened the Dialysis Unit at the Connaught Hospital in Freetown. Speaking on behalf of the Dialysis Unit at the Connaught Hospital, Dr. Russell one of the trainees in Dialysis from Israel, he expressed gratitude for being part of the programme since when the project was first proposed by Mrs. Koroma. He said that the knowledge they acquired from Israel has now become useful with the establishment of a dialysis unit, stating that the responsibility is now on the Sierra Leonean medical team to make sure that they make good use of the facility. 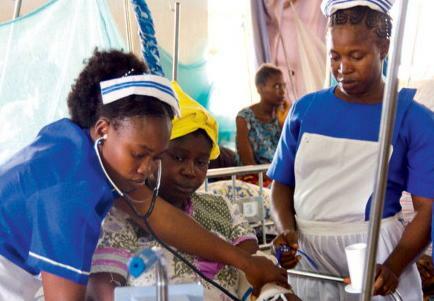 He added that the Dialysis Unit has never been in operation in the history of the country as many people have lost their lives for lack of a treatment facility and their inability to go abroad for treatment." 8.23.5. Drugs Procured For The Hospital and Not Put Into Use - Regular drugs amounting to Le7,897,500 and Free Health Care Drugs valued at $13,701 were procured and not consumed. Upon inspection, the auditors noted that those drugs had also been expired but had not been disposed of. It was therefore recommended that the pharmacist should provide plausible explanation, within thirty (30) days of the receipt of the report, why the drugs were kept until they expired and why they had not been disposed off. The 2012 report also took a peek into what obtains on the ground in Sierra Leone with a look at the Ola During Children's Hospital and there we saw these observations. The above account is the tip of the iceberg in a rotten system, the symptom of which permeates every vein of government machinery in the capital Freetown. The picture in other parts of the country is even more pathetic, even more worrying and we dare say damning. This is the picture at the Government Hospital in Kenema. Paediatric Ward: - Beds for hospitalised children were insufficient; the situation resulted in bed sharing; There was poor ventilation and low visibility in the Ward; and No electricity, water and toilet facilities existed for hospitalised children. Male Ward: - There was no toilet facility for hospitalised patients, resulting in the use of plastic kettles for defecation; There were no trolleys for the movement of medication within the Ward. Surgical Ward: - No electricity and toilet facilities existed for hospitalised patients. Laboratory: - Basic equipment and consumables like needles, syringes and gloves that should facilitate the smooth and efficient delivery of medical services to patients were not available. Store: - The following were observed: The floor space for the proper storage of drugs was insufficient; Air conditioners required for the recommended temperature of drugs were not available; and there was no shelf, electricity and furniture for the efficient running of the store. 8.30. GOVERNMENT HOSPITAL MAGBURAKA (2011) - 8.30.1. Records Of Diets And Firewood Not Maintained - The Hospital did not make available any record in the form of store ledgers, request forms and distribution list, to justify how diets and firewood supplied to them for Le182,383,238 were consumed/utilized. It was recommended that the Medical Superintendent should provide all the records in respect of diet consumption to the Audit team for verification within thirty (30) days of the receipt of the report; otherwise, the full amounts should be refunded and in future, the Medical Superintendent should ensure the maintenance of records of all diets received and consumed by the Hospital. Official’s Response - The Hospital superintendent replied that records relating to the utilisation of diets and fire wood had been maintained based on the recommendation. Auditor’s Comment - The records in respect of the consumption of diets and firewood were not made available for verification. A comparison of the fuel allocations received from the Tonkolili District Council and the amount of fuel consumed by the PHC Tonkolili District revealed a difference of Le18,508,000 that was not brought to account. It was therefore recommended that the DMO should within thirty (30) days of the receipt of that report provide an account of the Le18,508,000 to the ASSL; otherwise, the whole amount must be refunded. In future, all allocations made to the PHC Tonkolili District in respect of fuel should be properly accounted for. A comparison of the Supply Vouchers of cost recovery drugs and the Bank Statements revealed that the sum of Le89,365,048, in respect of the sale of cost recovery drugs by the PHUs, was not brought to account. It was therefore recommended that the DMO should give a full account of the outstanding balance in respect of the cost recovery drugs sold, to the ASSL within thirty (30) days of the receipt of the report; otherwise, the sum of Le89,365,048 must be immediately refunded. In future, the DMO should ensure prompt payment of revenue generated from the sale of cost recovery drugs into an authorized bank account of the Ministry of Health and Sanitation.